Yesterday, ABA Consultant Karen Talty spoke to Park House School parents on ‘Manding for Information’. 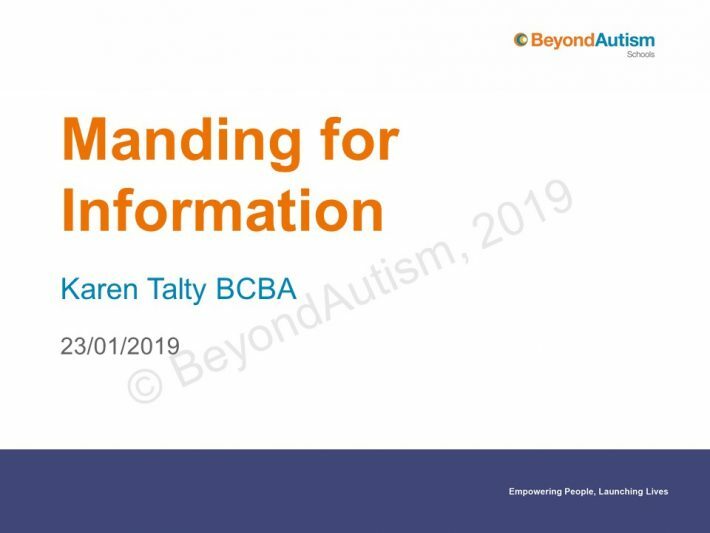 Karen explained manding, the concept of asking questions to receive information, and how it can be used in an ABA capacity both at school and home. You can view the slides here or click on the image below to expand.